Small law firms need a strong IT infrastructure just as much as an enterprise-level firm, but sometimes they don’t have the budget for the kind of IT staff needed to keep it running. Fortunately, cloud technology makes it so that the smaller firms don’t even need an IT staff at all! Invoicing – You can bill hourly or with a flat fee from anywhere you can make a connection to your server. This means if you have to see multiple clients, then you can bill them directly after the meeting right from your tablet, laptop, or phone. Electronic Signatures – Electronic signatures make it possible for you and your clients to sign legal documents via the web. Client Management – There are several pieces of software available that can help to reduce the amount of time it takes to look up clients and/or files. Calendaring, phone messaging, Skype, and many other features can be offered with this tool. The main advantage of this feature is the ability to access all this information through a mobile device from anywhere you can receive an Internet connection. Client Portals – A portal is a secure web space that is accessible to your clients. The portal allows clients to log in, communicate, view and download documents, and collaborate with the legal team. Some client portals may include a video link between you and your client. This allows the client to have billable meetings with you or your paralegal without having to come into the office. It makes scheduling easier and increases the efficient use of time. Encryption Services – You may already have some form of encryption on your servers, and maybe your cloud provider offers a second layer. However, there are applications that specialize in encryption services. This is better than buying a suite, and encryption is just one of their many features. Your cloud provider can offer the encryption services you need according to your demand for security. 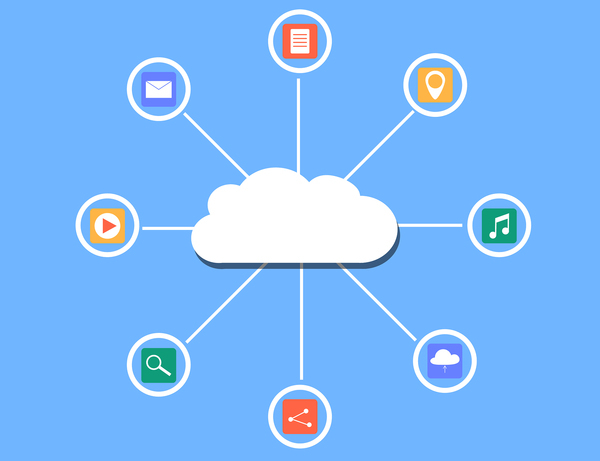 Even if your firm only uses a few applications and you don’t think your business would benefit much from cloud services, there are still savings to be made. Software developers sadly don’t think about the little guy when selling legal applications. They create large bundles for the big firms to sell at a bulk rate, saving them money, while selling parts of the bundle to smaller firms at a relatively higher cost. A cloud provider that knows the challenges small law firms deal with knows this, so they purchase licenses from these software developers for the complete versions that big firms get, then sell the same bundles, or specific parts, to the smaller firms at a lower cost. If you’d like to learn more about how the cloud benefits small businesses, read the TOSS C3 White Pages and call us anytime at 1-888-884-8677!